Raspberry Pi is a Miniature Computer that can Interface with a Display Device like TV and a keyboard. Model A has been redesigned to have 256Mb RAM, one USB port and no Ethernet (network connection). Model B has 256Mb RAM, 2 USB port and an Ethernet port. The Raspberry Pi measures 85.60mm x 53.98mm x 17mm, with a little overlap for the SD card and connectors which project over the edges. It weighs 45g. Overall real world performance is something like a 300MHz Pentium 2, only with much, much swankier graphics. There is composite and HDMI out on the board, so you can hook it up to an old analogue TV, to a digital TV or to a DVI monitor. No VGA support. Enter the Blobz Guide to Electric Circuits. - developed by Andy Thelwell at Staffordshire University. This is an excellent starter for youngsters to learn electricity. This was a Tutor that started with the early-web means after Y2K times. This also used flash very creatively to make a web multimedia interactive tutor. You can learn about battery, wire, switch and flow of electronics and the basic concepts that make electrical and electronic circuits. This is both useful for children and older people unfamiliar with electrons and their antics. 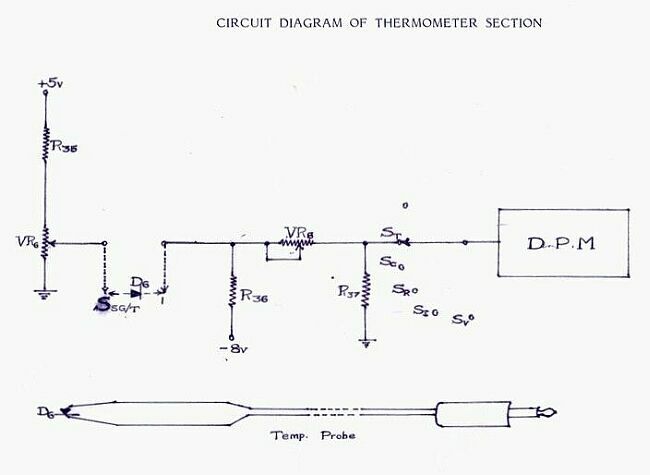 Measuring the temperature of a body, depends upon the establishment of thermo-dynamic equilibrium between the body and the device used to sense the temperature. In practice, this condition is rarely attained since it is difficult to establish complete instantaneous equilibrium. Hence great care must be exercised in choosing a method suited to the problem so that satisfactory conditions for temperature measurements are obtained. Temperature sensors possess thermal characteristics dependent largely on their size and shape and the materials from which they are made. These characteristics affect precise measurements. The introduction of a temperature sensor into a body tends to modify the temperature conditions at that point. In most cases the sensor is connected to a recording instrument by means of an intermediate system, along which the signal is carried. The intermediate system and the recorder may be subject to temperature and other changes. Hence compensating devices become a necessity to reduce or eliminate errors.